Patrick Erin (right) has come of age with his Group One win in the Metropolitan Handicap. Patrick Erin was bred by Patrick Smith who sent his mare Mega Babe to Gallant Guru at Anderton’s famous White Robe Lodge at Wingatui near Dunedin. Anderton nurtured and trained the horse named for his owner until he outgrew New Zealand racing. “He was a lovely young horse and I thought from day one that he had the makings of a really top stayer,” Anderton told NZ Racingh Desk. After Patrick Erin won 10 of 21 starts, Anderton told Patrick and his wife Jan Smith his future belonged in Australia and he was sent to Chris Waller in Sydney. 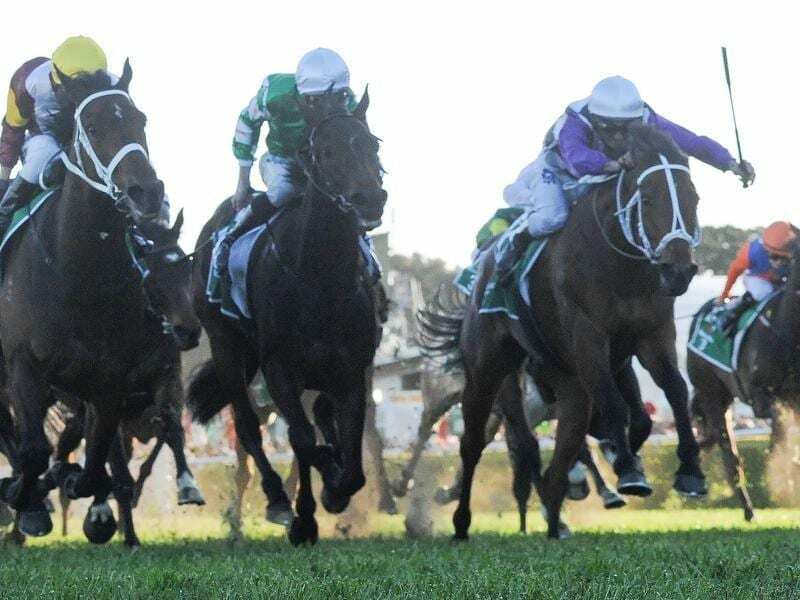 Patrick Erin won Saturday’s Group One Metropolitan at his sixth start for Waller. “It was a tough thing to do, but in the best interests of the horse he had to go to Australia,” Anderton said. “You don’t like to lose a horse like him from your stable but he was going to get crucified here by the handicapping system. Patrick Smith died four months ago making the win even more emotional. “I’m just delighted for Jan and the family that he did what he did on Saturday,” he said. Patrick Erin has 50kg in the Caulfield and Melbourne Cups and will need a weight penalty for his Metropolitan win to move up the ballot order.